Two Deans and Sams? Evil Winchesters? Can it be? 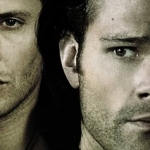 Well, in the land of Supernatural it’s never as straightforward as it seems and that was once again the case when it came to “Slash Fiction.” It was an action-packed episode filled with old school humor, wonderful cases, and a wide range of changing relationships for a number of characters. The Winchesters that we, and the rest of the country, saw on their killing spree was not our beloved brothers, but instead Leviathans wearing their faces. 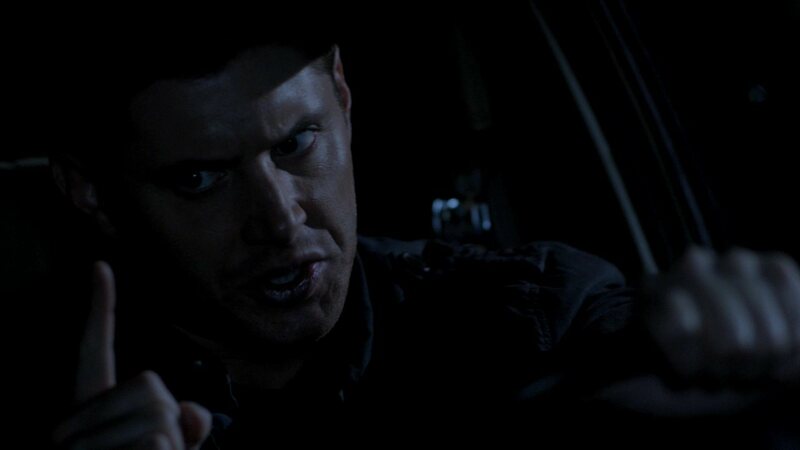 I must say that I adored Leviathan!Dean and Leviathan!Sam, despite their desire to kill everyone in their path. The boys have been legally dead for quite a while now, so to have two beings who look like them showing up on the evening news is not going to make their lives any easier, but it serves for great television. I really liked that they were committing the crimes, in order, from the first season’s cases. More importantly, to me, having Leviathan!Dean and Leviathan!Sam self-analyze the brothers from an outsider perspective was filled with comedic potential. Yeah, the Winchesters are very screwed up, and having creatures that look just like them talk about their issues was a fun mind-trip. "Who has two thumbs and a full-blown bats in the belfry?" The shout-outs to Quentin Tarantino, and Pulp Fiction specifically, were very cool. 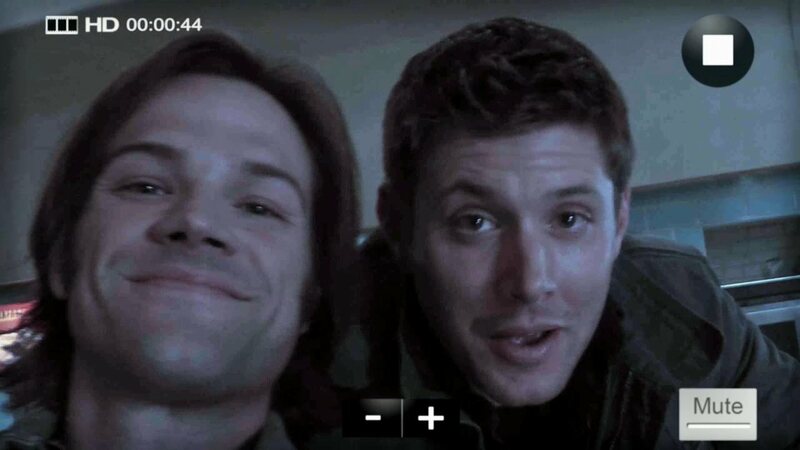 In fact, there were multiple instances when the implications of the episode was to reinforce the notion that Dean and Sam’s relationship was more like a marriage than anything else. 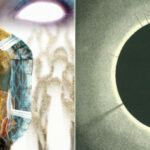 We already got that from last week’s dualism of storyline and this week served to push the point home. Additionally, we even got the romantic comedy break-up scene at the end, when Sam cannot deal with the secret Dean’s been keeping all along about Amy’s death. For those unaware, that was the scene Jensen Ackles spoke about at the recent Chicago Supernatural convention where he mentioned he and Jared Padalecki actually rewrote the scene to make it sound more in-character and less romantic comedy. I’d love to see what the original draft looked like because even the rewritten scene sounded like a romantic break-up to me. 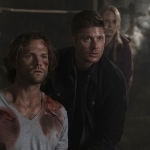 I’m guessing Sam will forgive his brother, likely sooner rather than later, but I hope Dean learns the lesson that keeping secrets from Sam is a bad move. With the Leviathans wearing their faces and the boys on the run, they needed help and who better to turn to than a paranoid friend of Bobby’s? I liked Frank very much. He’s apparently not a hunter, but a very paranoid man who can get you off the grid if you need to be. His point about the Impala was one I’ve made time and time again. Everyone knows that car, so I still don’t understand why Bobby hasn’t put a glamor on it before now. If they simply put a spell on it, to make people forget they saw it or misremember what it looks like, the boys could more easily slip in and out of towns. Instead, they show up in a very distinctive classic car and make their presence known, so of course they’ll be easily tracked when they become known as serial killers that the public should be on the look-out for. But at least we got one episode where they were temporarily relocated to a beat-up Pinto. The hits and laughter just kept on coming. As did the revelation of Dean’s secret loves, namely Air Supply and Patrick Swayze. Yes, I will now forever have a mental image of Dean secretly watching Dirty Dancing again and again, just like I did when I was younger. "Swayze movie! Swayze always gets a pass!" In non-Winchester land, I’m really enjoying the developing relationship between Sheriff Mills and Bobby. I like that she’s a strong woman who takes on the weird and deals with it without freaking out or running away. She’s a good partner for Bobby, knowing all about the hunting, and is able to stand up to him when necessary. I could see their relationship leading somewhere more romantic if Bobby was willing. We shall see if he can open his heart just a little. That kiss over the borax was a good start. Yes, we now have a key to slowing down and possibly temporarily killing the Leviathans and its name is borax. I like that it was a happy accident that Bobby discovered it, with the help of Sheriff Mills. 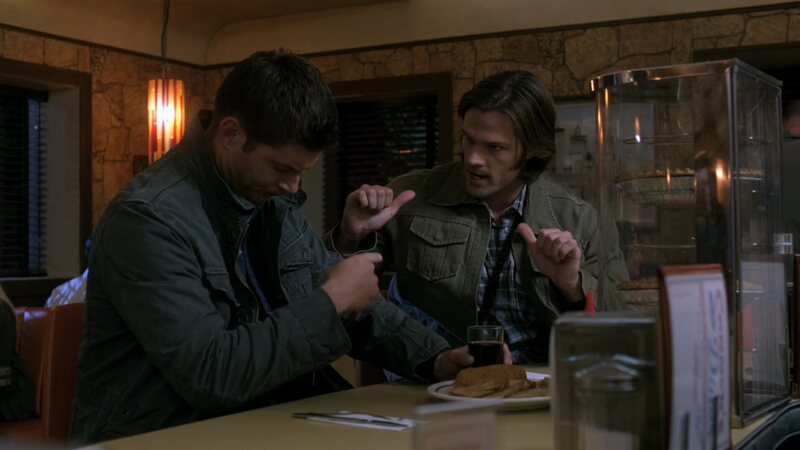 Do you realize that between condiments and laundry detergent, the Winchesters can deal with a whole range of evil? It’s often the simplest tools that get the job done. Burn them, cut of their heads, and take them out one by one until you get to the big boss. I guess that’s the name game-plan from now on. "What the hell was in that bucket?" And we now have met the big boss of the Leviathans. At least, we have a face and name, and the implication that Richard Roman will be playing a large political role in this country unless the boys can take him out first. I loved that Crowley was trying to ally himself with Roman, because that’s what he does. He will find whoever serves his needs best, usually the one who looks to be on the winning side, and buddy up to them. In most cases it works to his benefit, as he’s only out for himself and doesn’t really have a stake in what might be the best outcome for those involved, but this time his plan didn’t work out so well. Roman basically beat him down, belittled him, and brushed him off as unimportant. So much love for that scene! And I have to wonder if Crowley’s going to attempt to chat up the Winchesters again. He’s too awesome to be alone for long, so I’m sure we’ll see him again soon. And I’m sure we’ll get to see the big Leviathan boss again soon, too. I look forward to seeing the boys’ confrontation with him. It’s sure to be exciting! "I'd never work with you, Crowley. In fact, if I wasn't busy with better things I might actively wipe your kind from the face of the universe and you'd deserve it. Are we clear?"